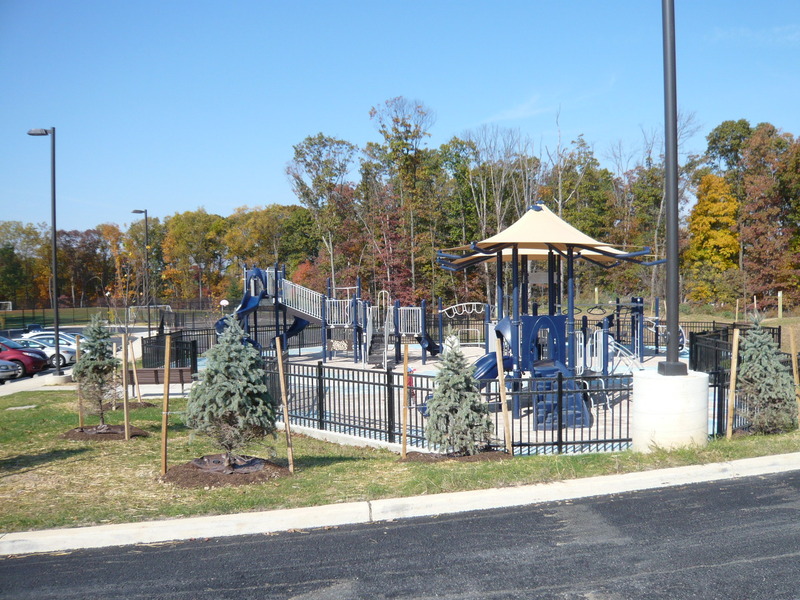 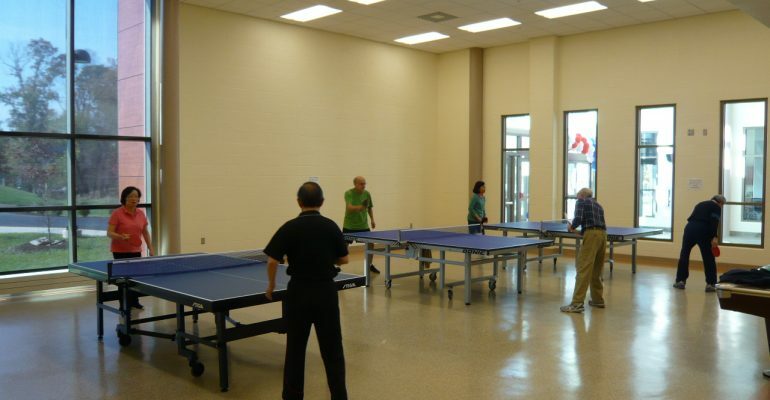 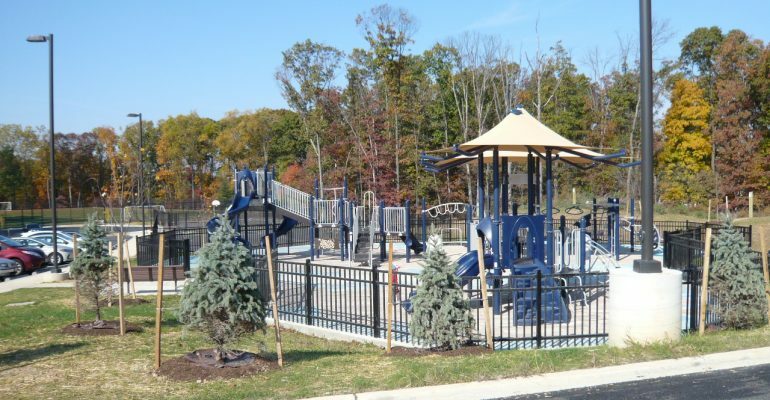 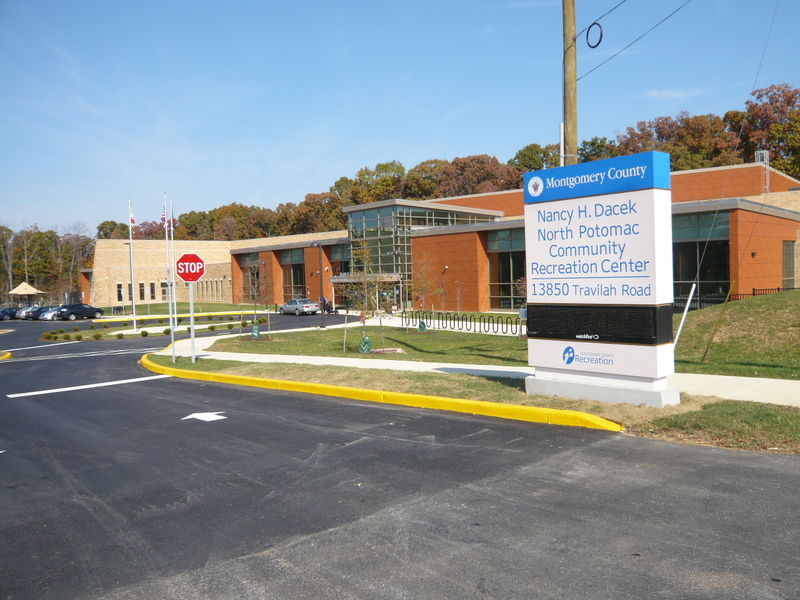 The North Potomac Recreation Center officially opened on October 22, and this community finally has its own place to meet and engage in various activities, as described in our October newsletter. 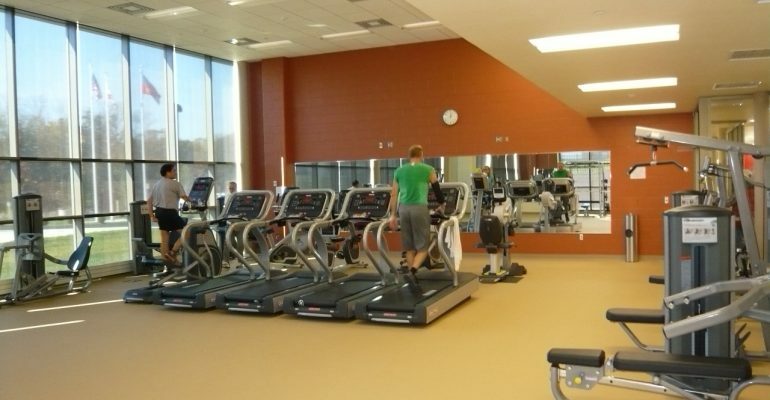 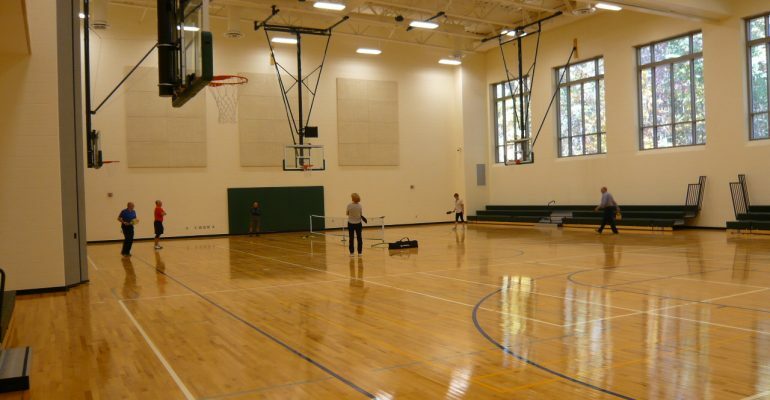 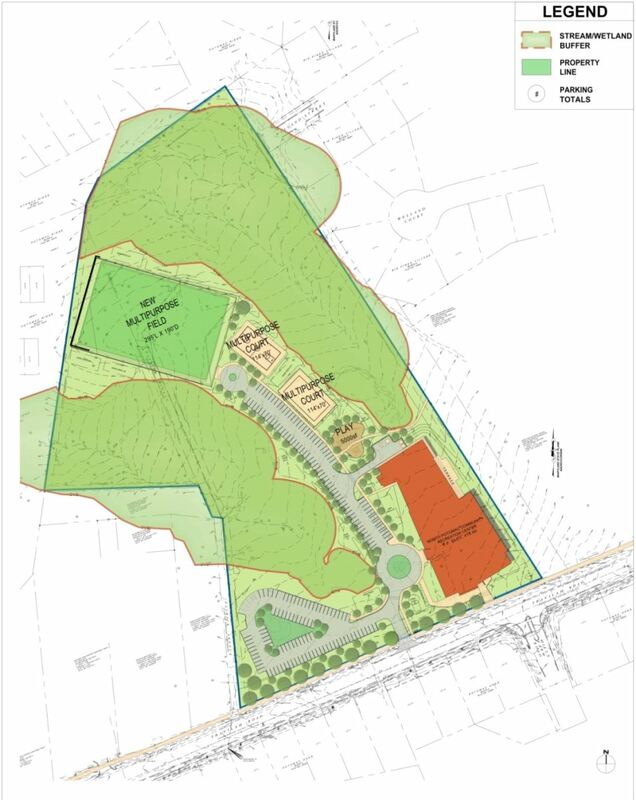 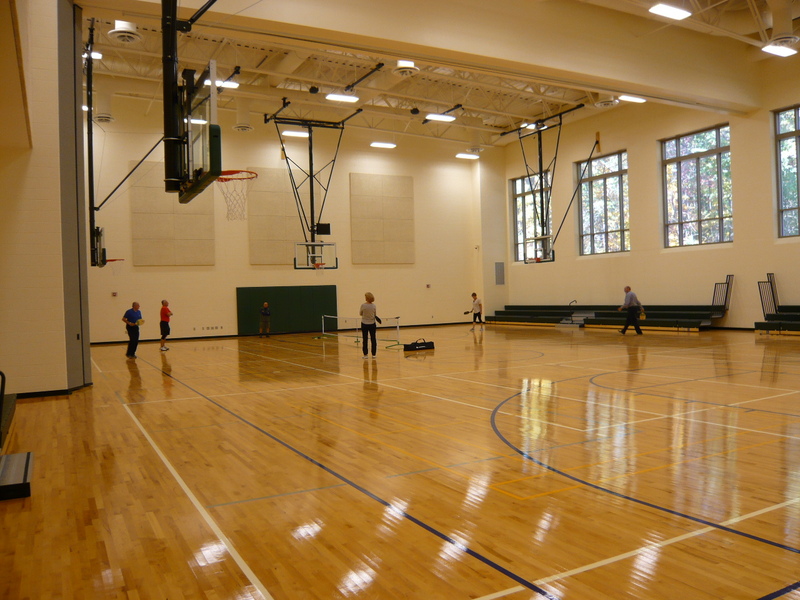 Located on Travilah Road near Big Pines Park, the 33,000 square foot community center includes a gymnasium, exercise room, social hall, kitchen, lounge, conference room, game room, and arts room. 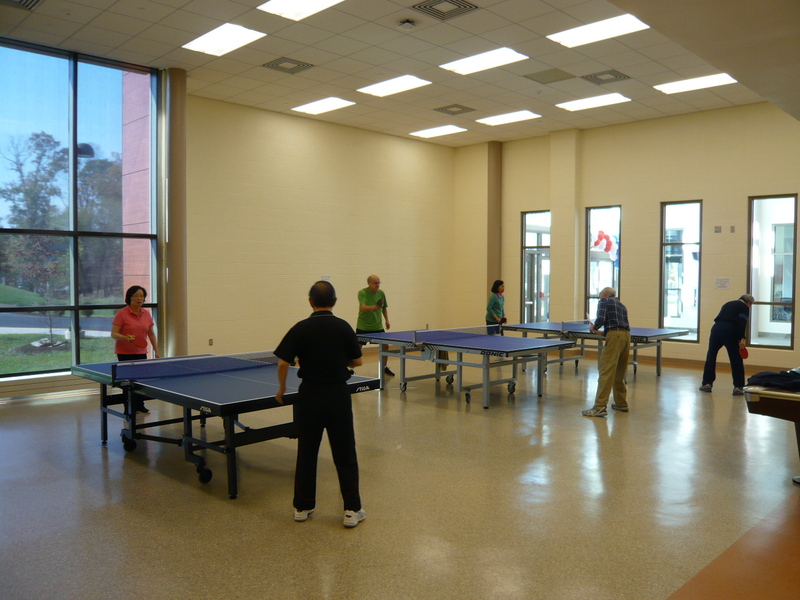 The center will be a resource for all ages, and the rental space will be helpful for groups that host their own events. 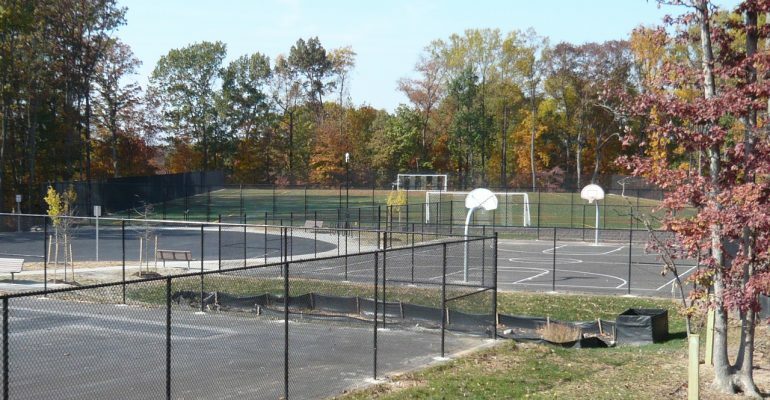 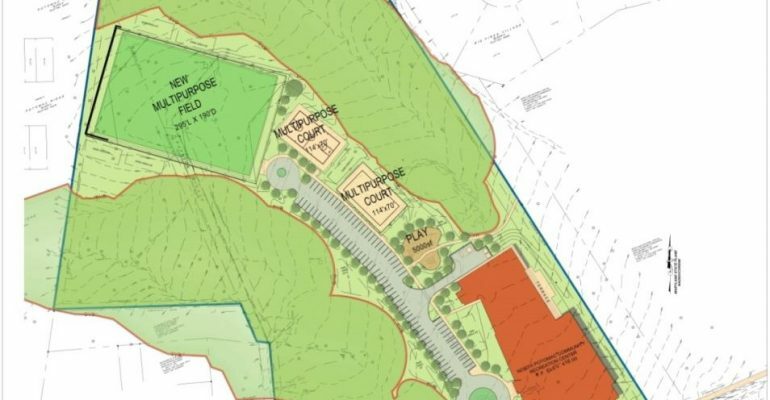 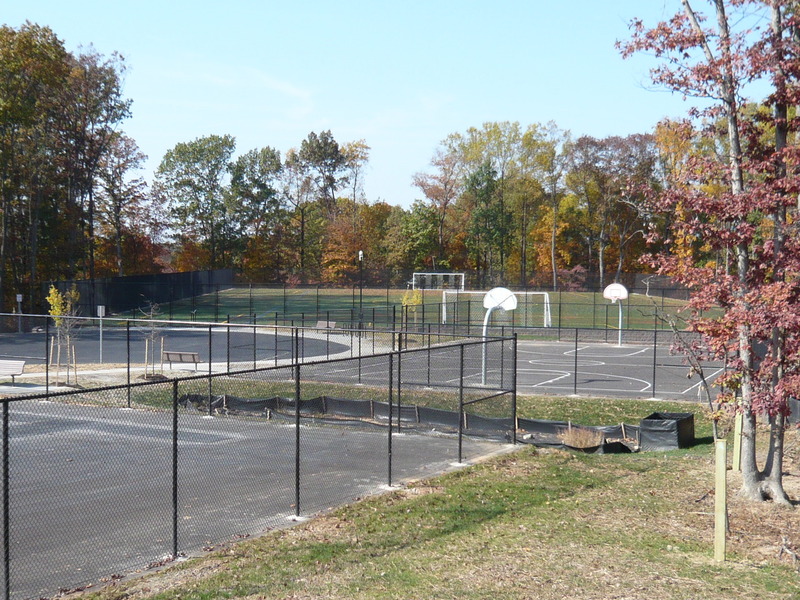 Outside, the center has an athletic field made of artificial turf, two multi-purpose courts, a children’s playground and plenty of parking space. 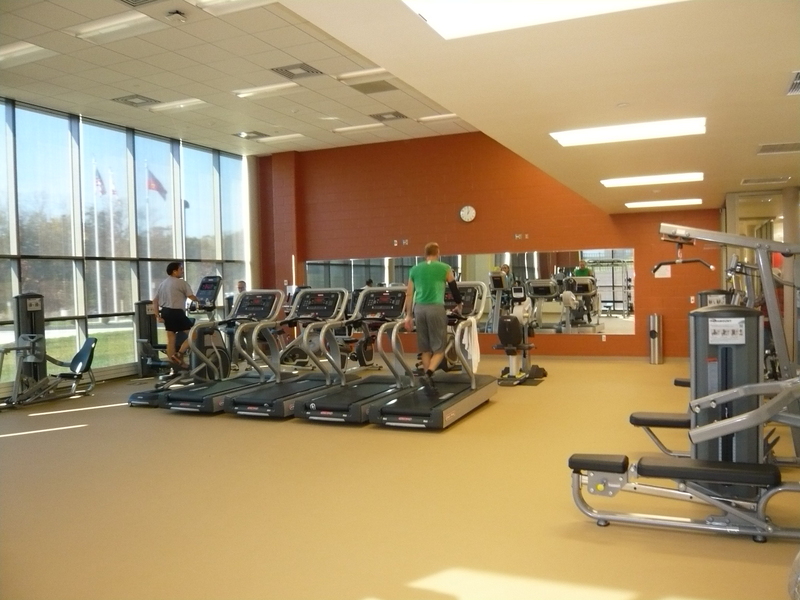 A new Ride On bus service (Route 301) services the new Rec Center daily from dawn to dusk. 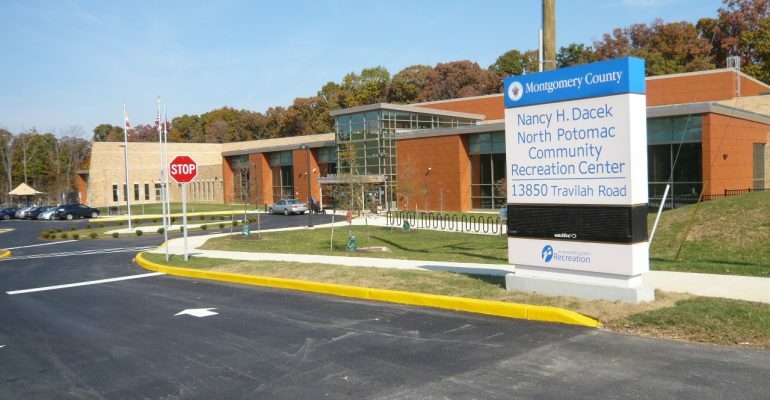 It connects Tobytown and the Rockville Metro and MARC stations via Travilah Road, the Shady Grove Hospital, Wootton Parkway and Falls Road. 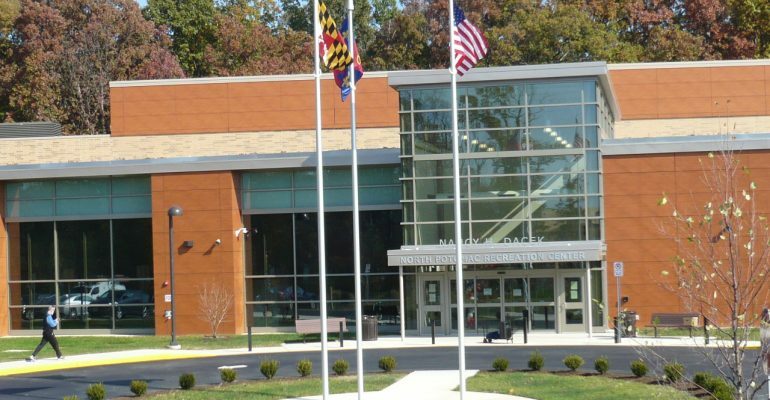 This bus also services the Rockville Library, Thomas Wootton High School, Robert Frost Middle School, Travilah Elementary School, and Potomac Oak Shopping Center at Travilah and Glen Roads, with limited service to the Glenstone Museum. 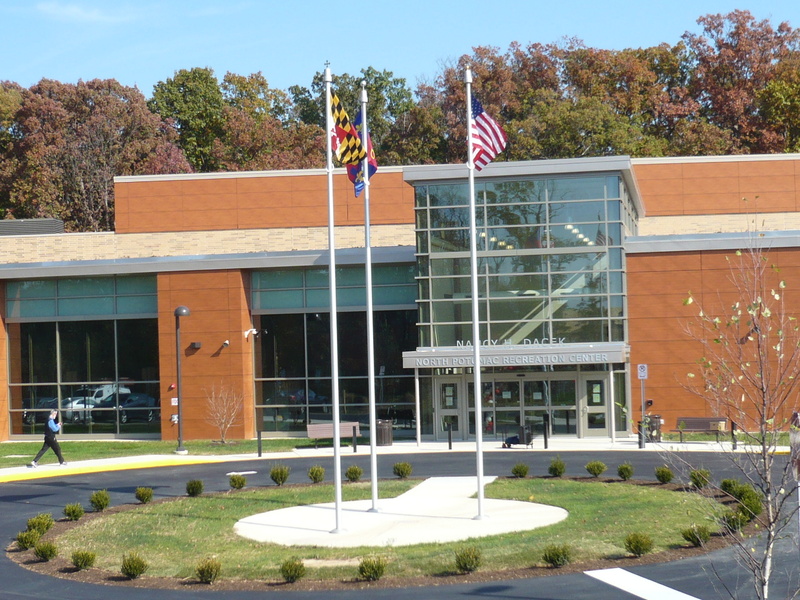 The precise schedule and route can be found at www.rideonbus.com.